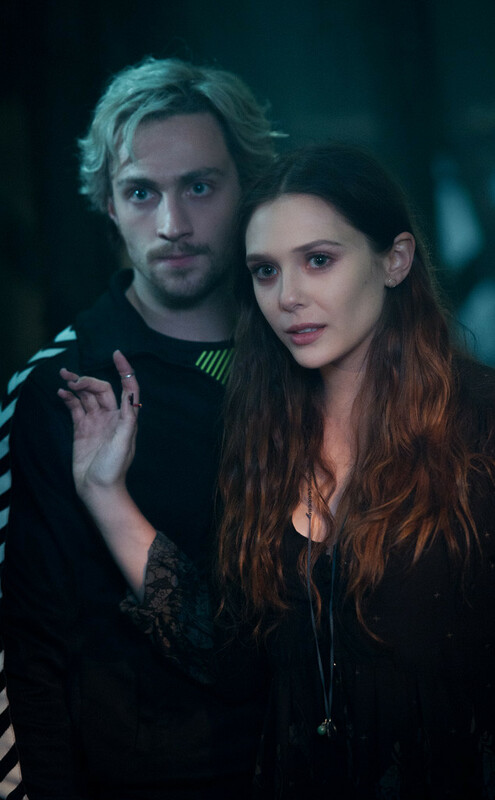 Pietro and Wanda. . HD Wallpaper and background images in the The Avengers club tagged: photo avengers: age of ultron still movie elizabeth olsen wanda maximoff scarlet witch aaron taylor-johnson pietro maximoff quicksilver. This The Avengers photo might contain kofia, picha, headshot, and closeup.